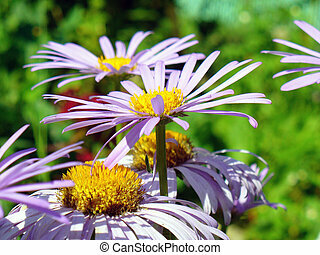 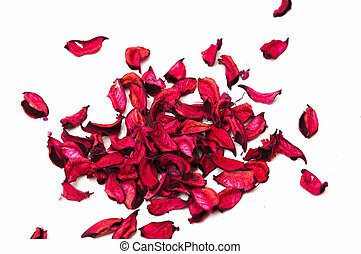 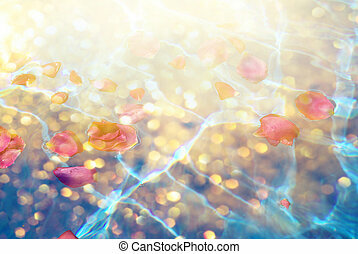 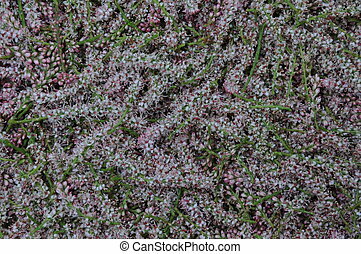 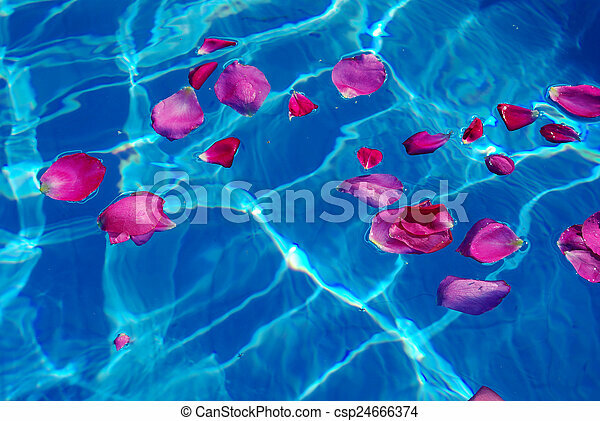 Flower petals with dew in blue water. 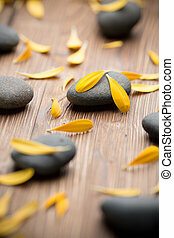 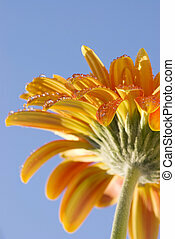 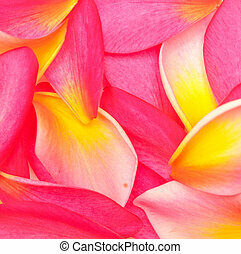 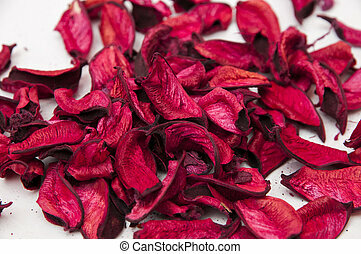 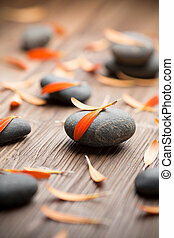 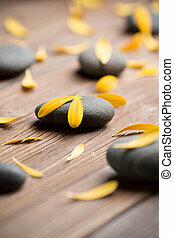 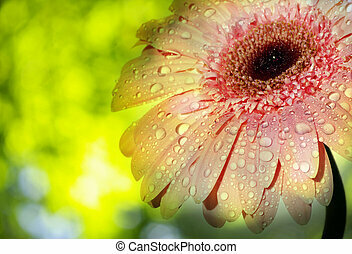 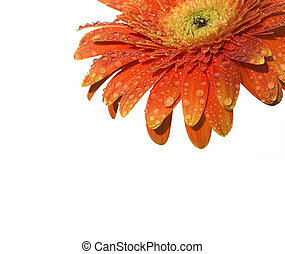 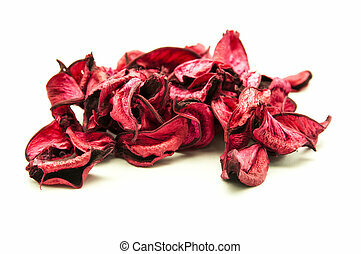 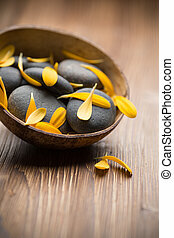 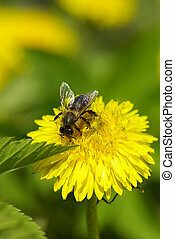 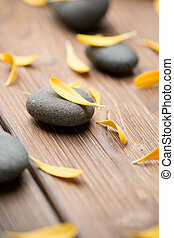 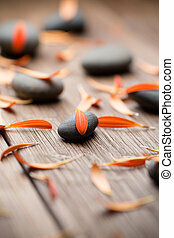 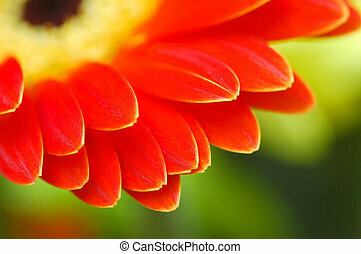 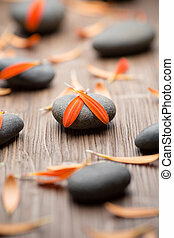 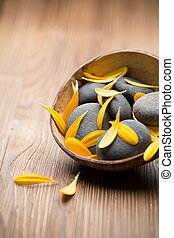 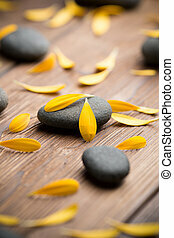 Gerbera flower petals and spa stones, wooden background. 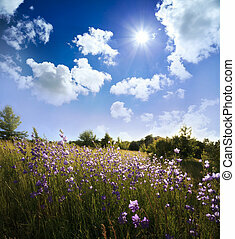 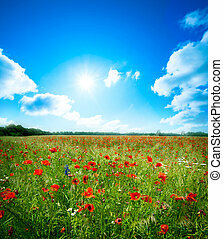 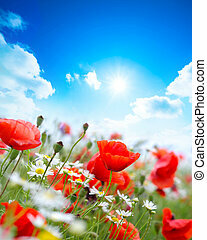 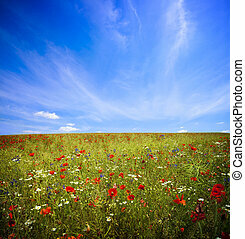 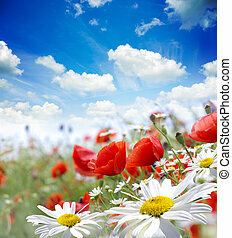 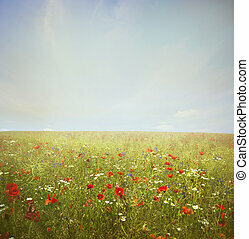 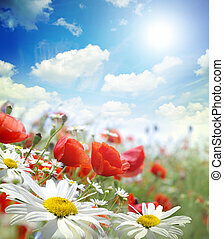 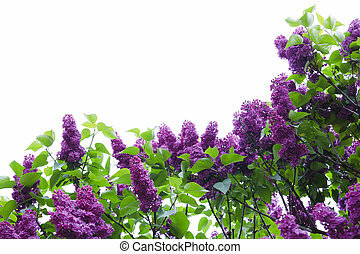 Spring flower field and blue sky.